Chase Illig (West Virginia) had three hits, including a three-run home run, and the Santa Barbara Foresters scored ten runs in the first three innings en route to beating the Arroyo Seco Saints 11-7 tonight at Jackie Robinson Stadium. Illig reached base safely in all five of his plate appearances tonight, adding a double and a single to go along with his home run, in driving in a total of four runs for the game. As a team the Foresters collected 14 hits and, two other players, Logan Allen (Arkansas-Ft. Smith) and Luke Ritter (Wichita St) joined Illig with a game-high three hits. Ryan Cash (Oklahoma State) and Luke Coffey (Westmont College) had back-to-back run-scoring singles to highlight a four-run first inning for Santa Barbara, Illig’s home run was the big hit in the second inning, and John Jensen (UC Irvine) and Utah Jones (North Greenville) each drove in runs in the third to put the Foresters up 10-0. Arroyo Seco rallied, however, and got back into the game with six runs in the bottom of the third inning. The Saints took advantage of three walks and an error in the inning and added RBI-singles by John Thomas (USC) and Cooper Williams (New Mexico St) to generate the six runs. Brad Demco (Sam Houston State), the third pitcher to appear for Santa Barbara, came into the game with one out in the third inning to shut down the rally, and pitched two more scoreless innings, with three strikeouts, to pick up the win. 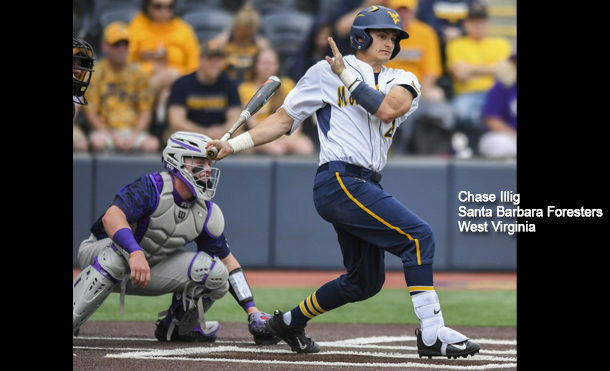 Conner Woods (UNLV), Jackson Wolf (West Virginia) and Chase Wallace (Tennessee) allowed only one hit combined over the final four innings to secure the win for Santa Barbara. Arroyo Seco utilized four pitchers in the game with JD Russomano (Corban) having the best outing, notching four strikeouts in two scoreless innings. Home runs by Steve Curry (Georgia Southern), Daniel Hawkins (Sonoma State) and Thomas Delgadilo highlighted a 16-hit attack as the Orange County Riptide beat the Academy Barons today at Fullerton College. Curry hit a two-run home run in the bottom of the first inning, on the heels of a lead-off double by Bradley Jekich (Pacific) to open the scoring. The Riptide held on to the 2-0 lead until the fourth inning as starting pitcher Hayden Pearce (Pacific) retired the first eleven Barons’ hitters he faced before a runner reached base on an error with two outs. The Barons took advantage of the miscue when, after the next batter was hit by a pitch, Jacob Shanks (UC Riverside) hit a three-run home run to give the Academy a 3-2 lead. That lead was short-lived, however, as Orange County scored two times in the bottom of the inning on a pair of RBI-doubles by Josh Nicoloff (Columbia) and Paul Gomez (Missouri) to make the score 4-3. The Barons tied the score in the fifth inning on a two-out, RBI-single by Trent Anderson (Cal St Bakersfield), and the Riptide took the lead again in the sixth on an RBI-single by Curry. Orange County finally took control of the game when Hawkins’ solo home run led off the seventh inning and was followed three batters later by Delgadilo’s three-run version, which drove in Nicoloff, who had walked, and Gomez, who had doubled for the second time. 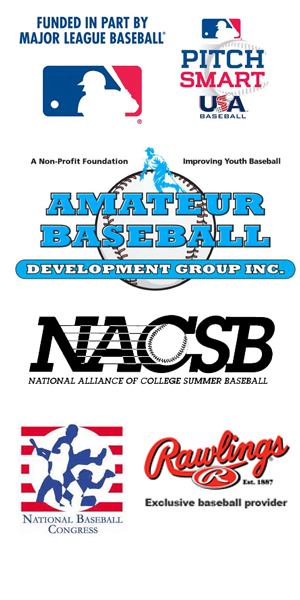 Jekich, Curry, Delgadilo and Austin Sojka (Ok Wesylan) each had a game-high three hits, Adam Cendejas (two singles) was the only Barons player to have a multiple-hit game, while Erik Gutierrez’ (Lipscomb) four strikeouts in two innings of relief highlighted the Academy’s pitching.